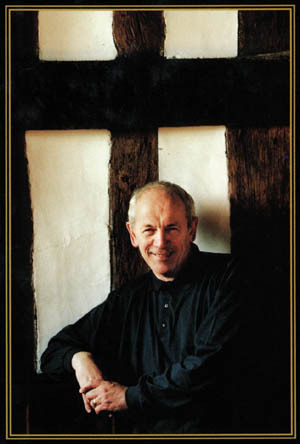 Alan Garner is a unique writer, skilfully crafting his text with painstaking care. His voice is without equal in modern England � a tongue married to a landscape and culture � that of my childhood � subtly expressing, through idiom and cadence, the richness of local dialect and tradition, avoiding the patronising but full and true. Drawing on classical and other mythical sources, as well as exhaustive research, he weaves a fascinating range of stories in a poetic style that captivates, drawing the reader deep within his world. The following is a selection of his best writing, and includes a collection of essays and public lectures that demonstrate why he is thought one of the most entertaining and perplexing speakers. A talk he gave in Oxford in 1978 caused me to revise my entire view of what my life had been until then and to reassess my upbringing, though I little realized it at the time: like a time-bomb, his words on dialect and translation, drawing on his own experience as a first generation educated, rang true to my own experience and made me question the basis of the social values I had unconsciously acquired at age 21. Alan Garner lives and writes in Cheshire, near my home town. He was awarded the OBE in 2001. A perplexing Moebius strip of a novel that describes a rural England of the 18th century with a still living pagan culture. 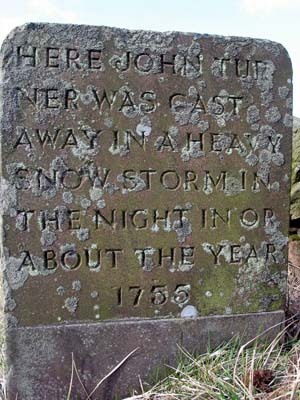 John Turner dies in a snowstorm in 1755. 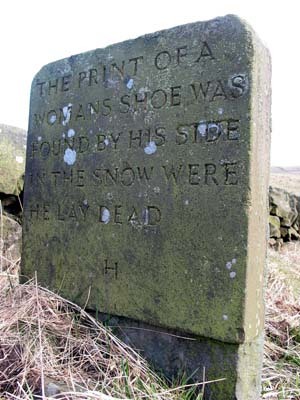 A woman's single footprint is seen in the snow beside him, a fact recorded on the reverse of a stone Garner later found there. The book is an attempt at an explanation, but the language tells the story through direct experience. Once the end is reached, the reader realizes that the end is the beginning. A re-reading shows a very different story. The effect is mesmerizing. William Buckley was transported from Marton in Cheshire to New South Wales around 1798, allegedly for sedition (copying lines from Milton to learn to write). Believing he could return to England if only he could walk far enough north to reach China, he escaped into the desert of Australia and collapsed on the burial mound of a great aboriginal shaman. Aborigines found him and believed him to be the shaman's reincarnation. Totally strange to them, and possessed from time to time with epilepsy, he became what they believed, and lived as a shaman among them for 32 years. Based on a true story � whose discovery is fascinatingly narrated in The Voice That Thunders (below) � Strandloper tells William's story through what William hears and perceives, in a way that places the reader deep within an individual mind and experience. Few books communicate so closely the otherness of another human being, in a language as strange yet somehow as convincing as the visions seen in a trance that approximates to poetry. This is as close as one will get to autobiography from Garner. From highly entertaining accounts of the perplexing role of the writer in the modern world � as reflected in the letters he receives from fans and from schoolchildren required to study him � to the dialectal linguistic roots of his own style of writing and a brave and ingenuous account of his own battle with manic depression, this collection is one of the most riveting I have read by any modern writer. In four short novellas the story of Garner's family from mid-19th century to a Second World War childhood is related in a language as carefully crafted as the church masonry of his great grandfather. Highly poetic and atmospheric, the books capture the spirit of place and age and the mystery of time and consciousness. Three stories, one plot, expressed in three different time-frames: in Roman Britain, in the English Civil War, and on a modern caravan site near the M6, timeless conflicts and age old passions work out in inexorable fashion through the lives of people isolated from one another in time yet tragically bound together in place to work out the same human mistakes. The parallel time-frames are brilliantly resolved in the final section, where a single narrative seemingly tells three different outcomes through the same words. The Mabinogion story of Lleu Llaw Gyffes takes on a modern setting in this story of Anglo-Welsh tensions and supernatural events on a Welsh hillside farmhouse. Classic rivalries are played out between the children, who unknowingly reenact the story of the man who fashioned himself a wife out of flowers, which turn into owls. The social conflict is carefully kept under while the human story is left to unfold with seemingly tragic inevitability, thwarted only by the dawning realization of the reality of what is happening. This novel is a careful blend of realism and fantasy, rendering the mystic atmosphere of a Wales now a generation behind us. The reader's deepest regret with this novel is that it ends so soon. Enchantment surrounds a slum clearance site in modern Manchester, where a blind fiddler leads a group of children into another world of unicorns and magic on which hangs the fate of this world, only to return them to their drab everyday lives, their swords and shields turned to fence palings and dustbin lids. The novel distills the essence of escapism into a powerful drug, leaving one longing for more, with only the slightest effort. 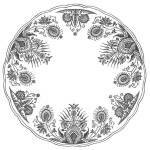 A fragment of Elysium. The book that started it all. Enough written elsewhere. This embodies the Legend of Alderley in a mythical and fantsastic setting. 2010 sees the fiftieth anniversary of its publication. This collection of rare writings by Garner and articles by others who have known and worked with him is very much a collector's item.